This book is intended to be a complete compendium of the types of methodology that have evolved for the determination of the chemical composition of polymers. Volume 1 covers the methodology used for the determination of metals, non-metals and organic functional groups in polymers, and for the determination of the ratio in which different monomer units occur in co-polymers. The techniques available for composition determination of homo-polymers and co-polymers and other recent modern techniques such as X-ray photo-electron spectroscopy, atomic force microscopy, micro-thermal analysis and scanning electron microscopy and energy dispersive analysis using X-rays are also included. The structure and micro-structure of polymers, co-polymers and rubbers are dealt with in Volume 2. More detailed aspects, such as sequencing of monomer units in co-polymers, end-group analysis,Tacticity and stereo-chemical determinations, are also dealt with in this subsequent volume. This book gives an up-to-date and thorough exposition of the state-of-the-art theories and availability of instrumentation needed to effect chemical and physical analysis of polymers. This is supported by approximately 1,200 references. The book should be of great interest to all those engaged in the subject in industry, university research establishments and general education. 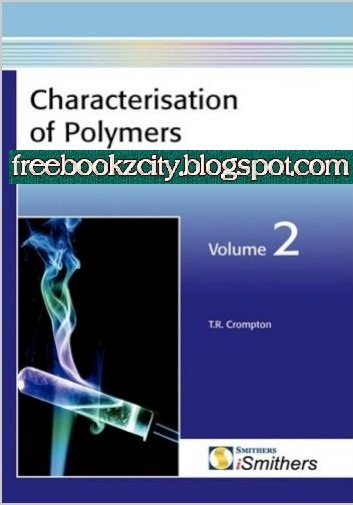 This is the second part of the two volume compendium of the types of methodology that are used for the determination of the chemical composition of polymers. changes of emphasis have been made along the way.